Our weather guys here are really encouraging us to take them seriously about the ice storm that they have been predicting for days. Well, all of you that know me, know that I will use any excuse to get in the kitchen and cook. 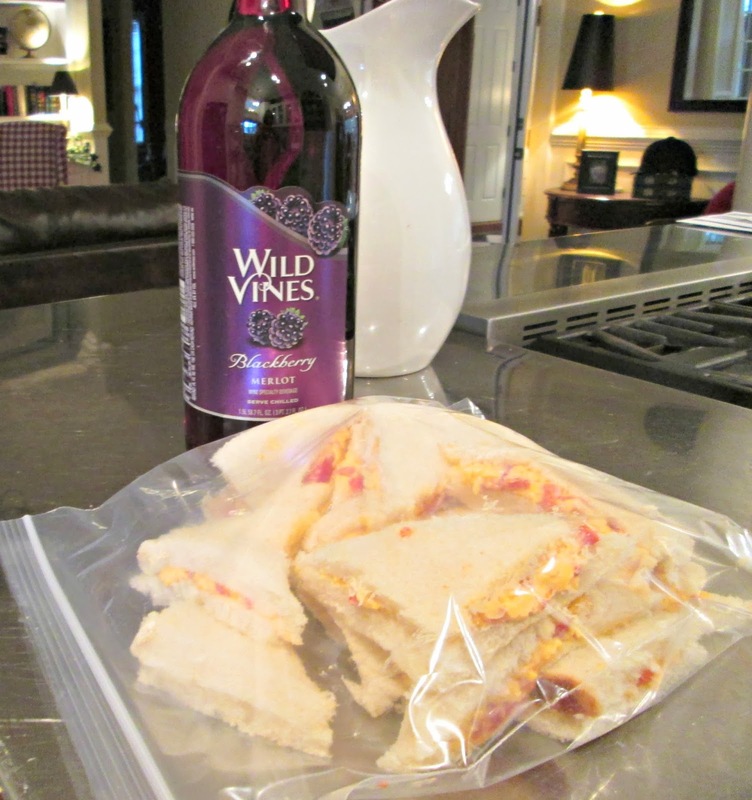 This is not one of my favorite meals, but it fits the weather, and was hubby's request. Supper at 6, come have a bite. 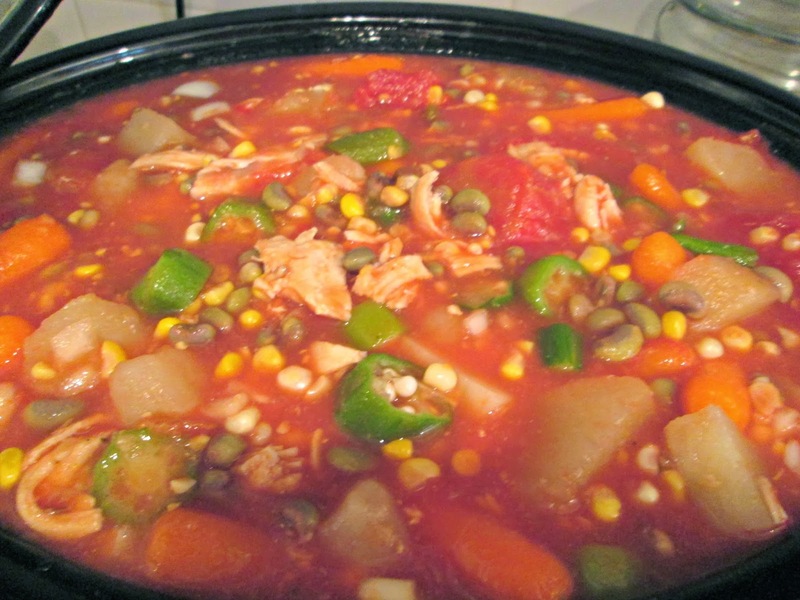 A large crock pot of homemade veggie soup, thrown together and slow cooked all day. Easily warmed up later if we do lose power like they are predicting. 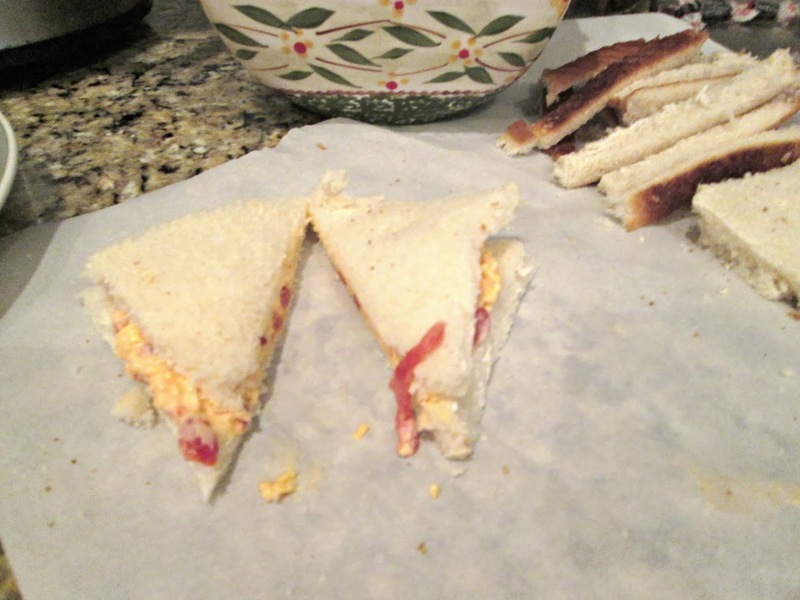 Homemade pimento and cheese, oh YUM!! This is one of my fav's!! 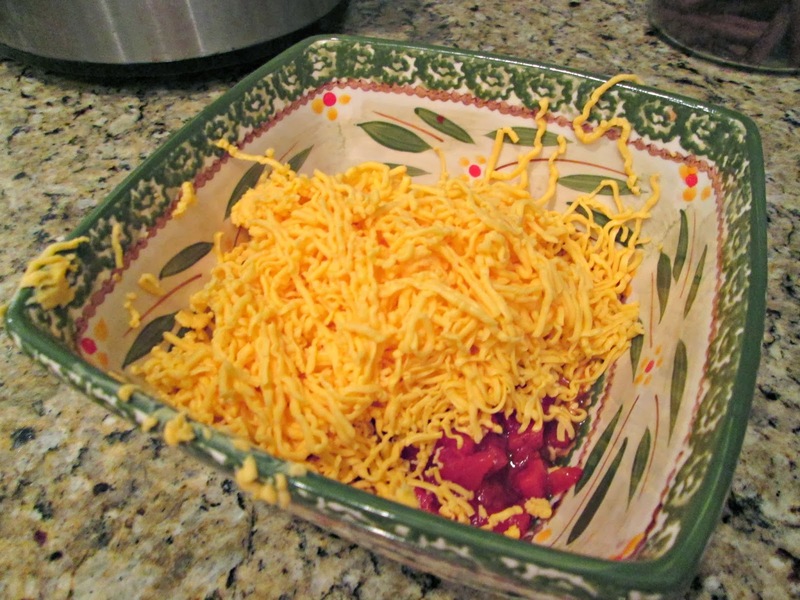 Just grate some velveeta, add a jar of pimento's, and a jar of sweet red peppers, both drained of coarse, and a capful of lemon juice, a heaping scoop of your favorite mayo, mix together and it just doesn't get any better. 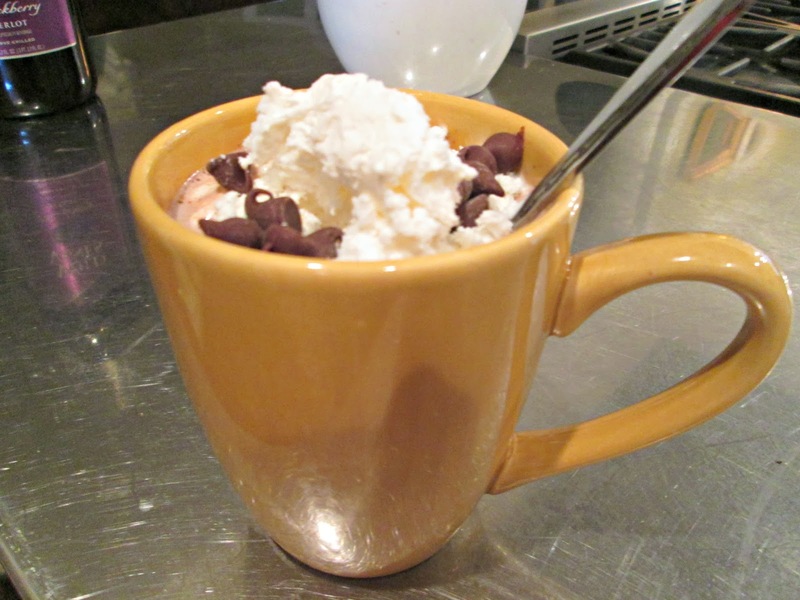 If your not a wine person, what about a cup of rich hot chocolate, made from milk, and topped off with cool whip and chocolate chips. Enjoy and stay warm! Thanks to all of you have e mailed me to see if I am still alive.